Japan loves cute things. Hello Kitty? Yeah, that’s Japanese. Cute cartoon characters, both imported and homegrown, are really popular over here. Japan loves cute, and their term for cute – kawaii – is high praise. But because kawaii is so popular, it is sometimes applied to multiple things. Personally, I find the thing to be downright creepy, like a gargoyle or something. Mascots are huge in Japan. Not just for sports teams. 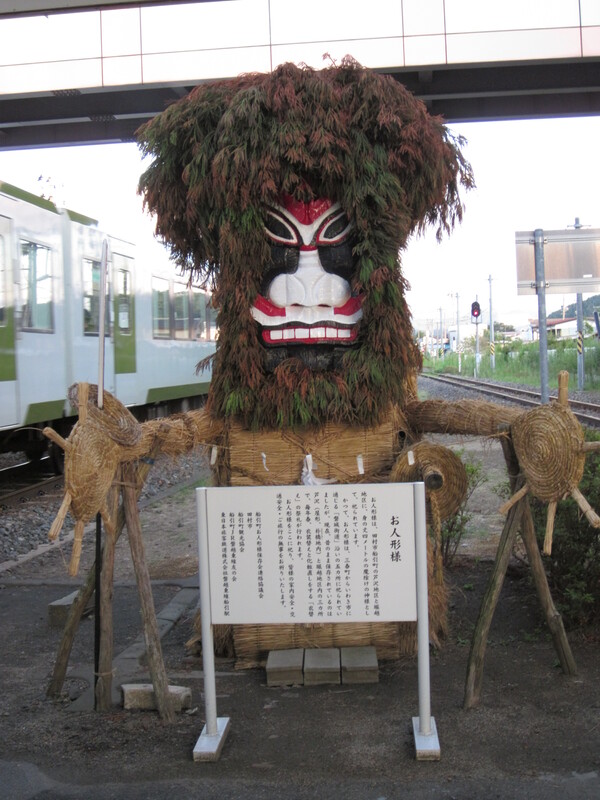 Cities and prefectures have their own mascots as well. A few decades ago a nearby town decided to build a tourist area around the stag beetles that are so common in this area. Not only did they build a park to see the beetles, but a hotel and a set of roller coasters as well. And, of course, they came up with a cute mascot: a giant stag beetle. Last weekend I went and cheered at a local road race. 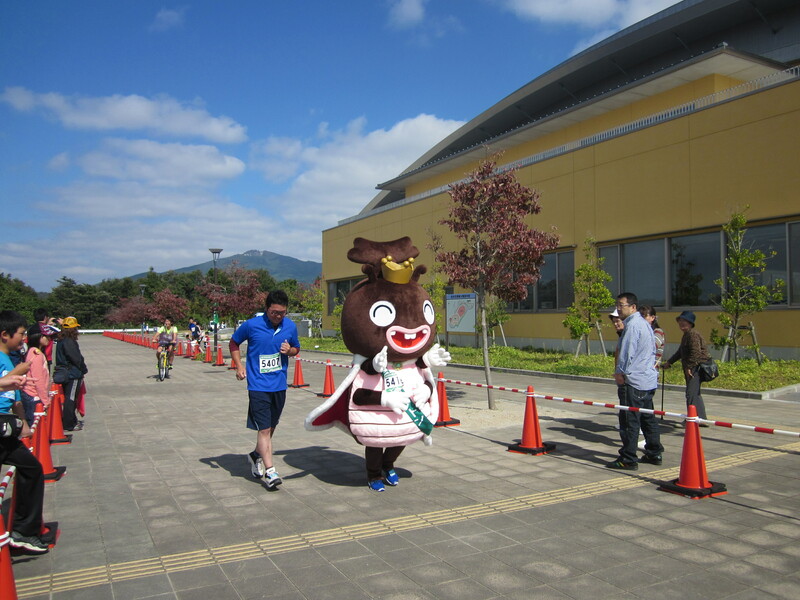 To my utter surprise, the mascot was there, running the 3 kilometer race. How that person managed to go the whole way in such a gangly costume I’ll never know. But there it was, running along. Smiling, as always.